Attract your customers to aromatic, freshly-popped popcorn made from these Carnival King red butterfly popcorn kernels! Butterfly-style popcorn has irregular shapes with light, fragile wings protruding from all sides. Red butterfly popcorn was created by crossbreeding white popcorn varieties. 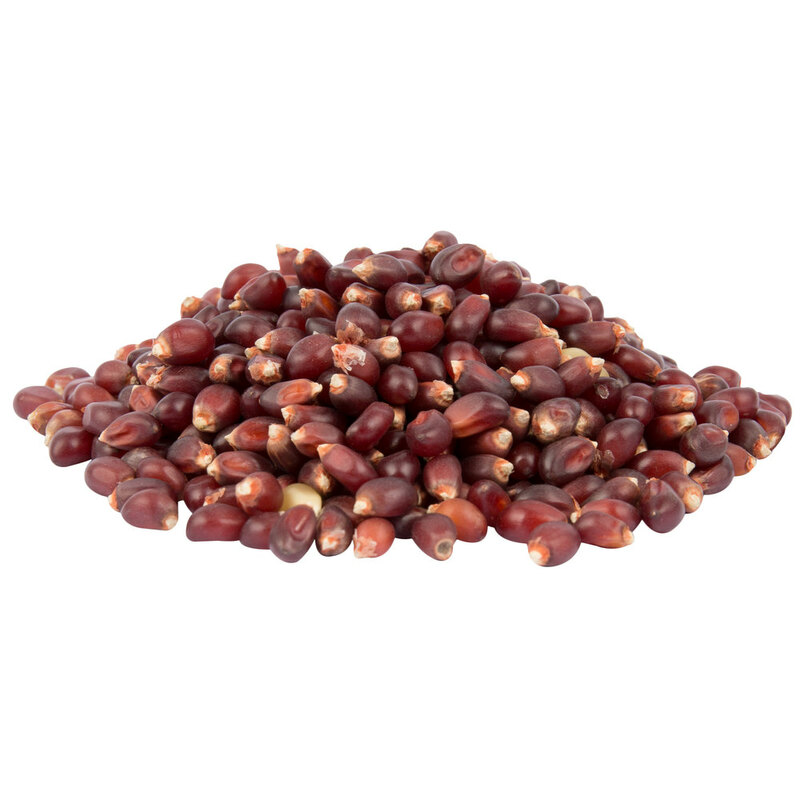 Its red kernel will pop into a small, bright white flake that is crunchy with a nutty flavor. These kernels deliver a consistent product each and every time. Simply follow the instructions on your countertop or freestanding popcorn machine to properly prepare. The result is the perfect light snack with familiar, satisfying popcorn taste customers are sure to love. Enhance your popcorn with a pop of sweet or savory flavor using popcorn flavorings and seasonings, or stick to the widely popular, traditional salt and butter toppings. The popcorn of choice for movie theaters, stadium sporting events, fall fairs, or carnivals, customers of all ages will enjoy butterfly style popcorn, thanks to these popcorn kernels. Delight your guests and use these popcorn kernels to pop deliciously light and tender white popcorn!